With the advantage of superior crack width control ability, stress transmission capacity and energy dissipation capacity, engineered cementitious composites (ECC) show ultra-high strain hardening characteristic, and its ultimate tensile strain can reach 3% to 7%, which is hundreds of times that of the normal concrete when cracking occurs. As a new kind of building material, ECC need to get more sustainable through adding vicinal materials. In the present research, we investigate the influence of ternary binder system of bentonite, fly ash (FA) and cement (C) on the mechanical behaviours and microstructures of ECC. The ratio of FA/ C were 1.2, 1.8, 2.4 and the amount of bentonite by mass of ternary binder system were 0%, 5%, 10%, 15%, and 20% in each FA/C ratio, respectively. The flexural strength, flexural deflection capacity and compressive strength were tested at 14, 28 and 90 curing time. 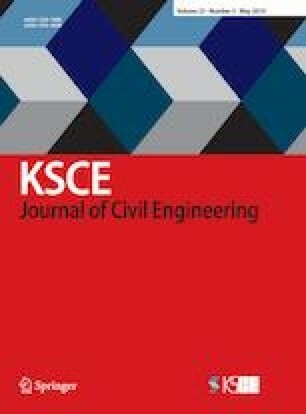 The results show that ECC with combined supplementary cementitious materials have the behavior of strain hardening. Moreover, it was found that higher FA/C ratio and higher bentonite content can improve the flexural deflection capacity. In addition, there is a decrease in flexural strength and compressive strength with the increase in FA/C ratio and bentonite content. Furthermore, it could be seen that fly ash and bentonite are beneficial to the long-term strength development of ECC.